As everyone knows, the Notre Dame Cathedral is in Kentucky, the Leaning Tower of Pisa is in Illinois, the World Trade Center is in Trinton Falls, N.J., and the Eiffel Tower is in Paris…Texas, that is. While these are not the original structures, they are all large, sometimes full-scale replicas of the famous landmarks. Also in an odd twist, sometimes miniature replica souvenirs are made of the large replicas. The full-scale replica of the Parthenon in Nashville, Tennessee makes resin replicas of it’s replica (see photo above). There is a house in McLean, Va. just out side of Washington, D.C., that is a full-scale replica of the White House. It includes the Oval Office, Lincoln Bedroom, and Portico. A filmmaker in Bangladesh is building a full-scale replica of the Taj Mahal. 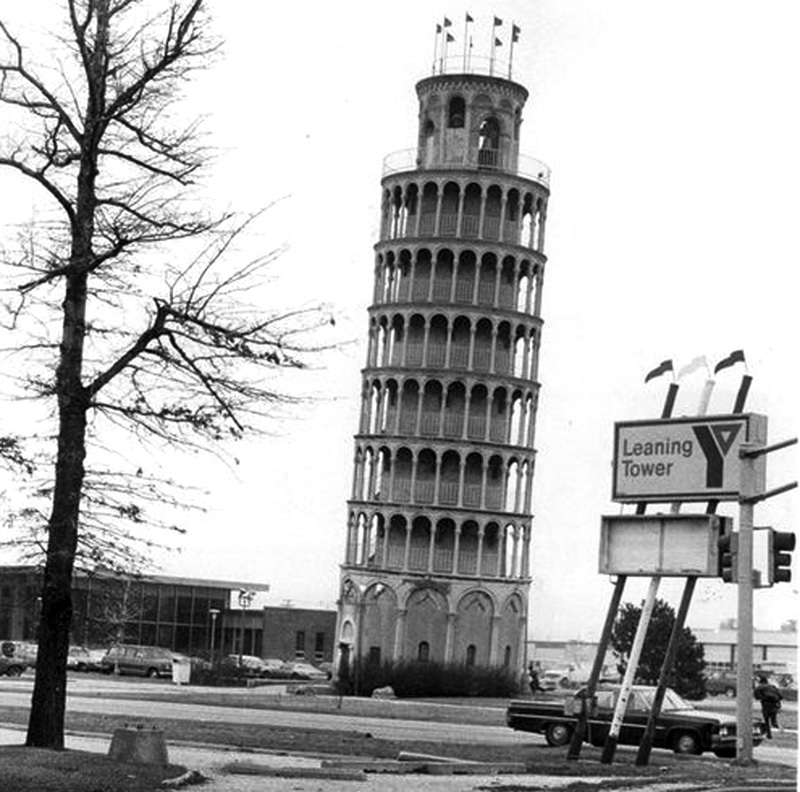 A ½ size Leaning Tower of Pisa was built in Niles, Illinois in 1934 as part of a recreation park for employees of the Ilg Hot Air Electric Ventilating Company. In 1960, part of the park was donated for the construction of the Leaning Tower YMCA. One-third scale replica of the Notre Dame is located in Covington, Kentucky and named the Cathedral Basilica of the Assumption. Construction began in 1894, but the cathedral project was terminated in 1915 and is incomplete. Replicas of the Eiffel Tower are all over the world, from the U.S., to Europe, to Aisa and South America. Here is a list so you can visit each one. So, if you’re tired of collecting replicas that are just inches tall, you can now buy or build larger duplicates of your favorite landmark architecture. Thank you for the additional information, Tarun.